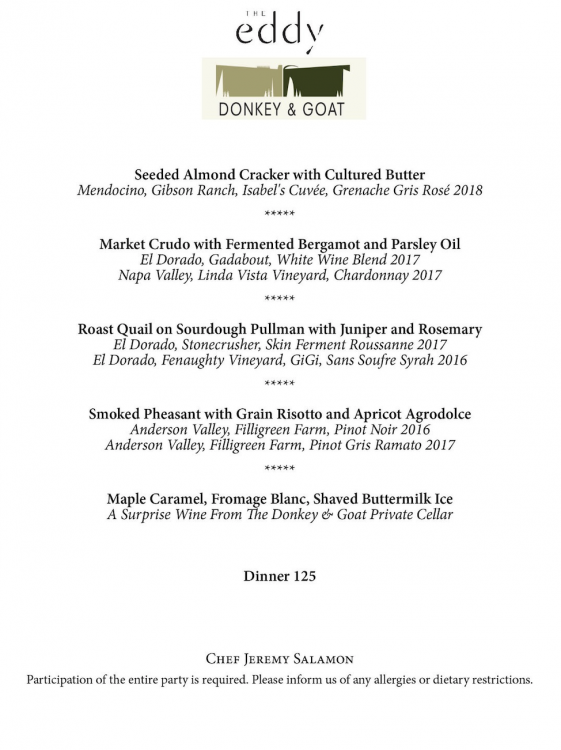 Learn about Donkey & Goats’ Natural wine philosophy and production as Tracey leads you on a guided tasting of 5 wines. No Reservations, all of Remi’s and Magali’s wines will be served by the glass. $155 per person including gratuity for 5 courses, buy a ticket on Eventbrite here. $120 per person for 4 courses, 4 wines including tax and service. Email or call 718.218.4444 for reservations. 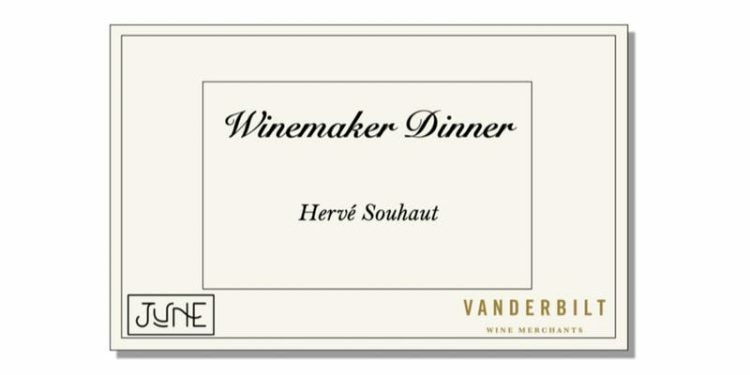 $80 per person for 4 courses, 4 wines served family style. 2 seatings–6pm and 8pm, RSVP through RESY.